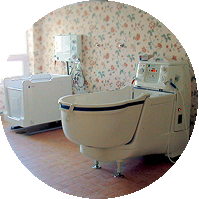 Our services include designing and installing plumbing & HVAC systems. 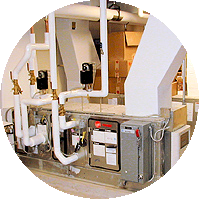 We can perform many types of mechanical construction services, handling everything from basic plumbing and HVAC systems to more complex systems such as medical gas, four pipe HVAC systems, steam, energy recovery process piping, and underground utilities. CMC's field and management expertise are second to none. Their team takes a proactive approach to every project: studying and understanding the systems prior to installation, suggesting alternative solutions or methods to difficult situations. 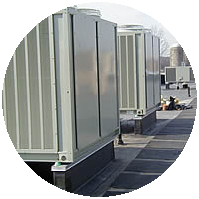 At the end of any project involving CMC, I can walk away knowing we provided the owner with the highest level of service possible for the mechanical systems installed. CMC, Inc. (Commercial Mechanical Construction, Inc.) is a corporation based in Gap, PA, fully insured, bonded and equipped to perform commercial mechanical construction. 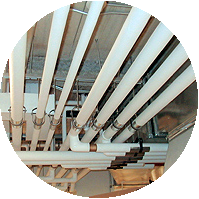 Our expertise lies in the installation of plumbing, piping, and HVAC systems for commercial, industrial and institutional clients. The company was incorporated in 1982 and founded by Linford Horst and Steve Beiler as partners. Their relationship was developed by working together for W. S. Horst, Inc., a plumbing and HVAC company that was created in the early 1950's by Linford's father. Attention to detail, pride in workmanship and hands on project management all combine to provide an excellent value for CMC's customers. We perform both plan/spec and design build installations. We hope you consider CMC, Inc. for your next project, and look forward to hearing from you!